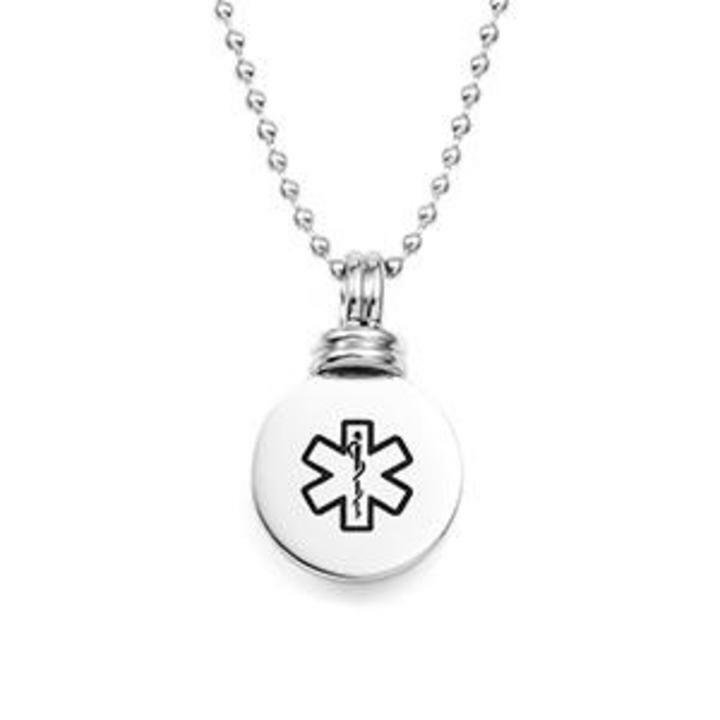 This stylish ladies, women, teen girls medical id alert necklace is perfect size to keep you or your loved one protected. Comes with free traditional engraving engraving. 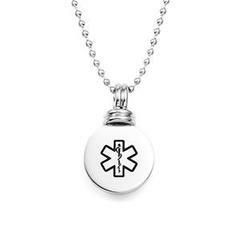 The pendent measures 13/16 x 13/16 Inch and comes with a 20" stainless bead chain. Engraving is done in traditional engraving free of charge, black laser can be done an addtional cost.